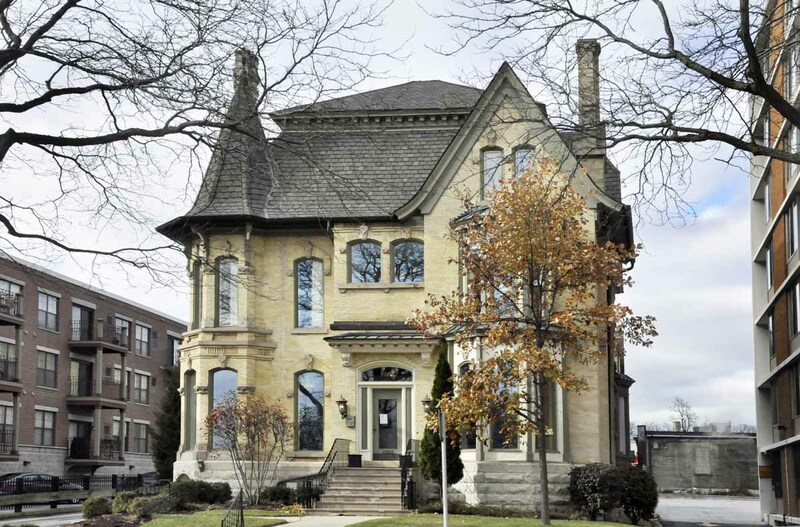 Support breast cancer research by touring this gorgeous Victorian home on Milwaukee's East Side. 2018 Wisconsin Breast Cancer Showhouse, 1363 N. Prospect Ave. Photo by John E. Kimpel. What has eight bedrooms, five fireplaces and 1,000 volunteers? If you guessed the Breast Cancer Showhouse, you would be 100% correct. A popular fundraising event held yearly, the Breast Cancer Showhouse brings together dozens of the area’s top interior designers to transform a historic home that is then opened for touring. 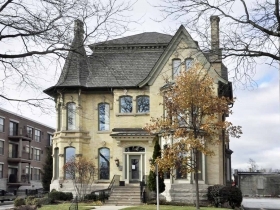 This year’s showhouse is at 1363 N. Prospect Ave. on Milwaukee’s East Side. It will be open from June 2 through 17. The proceeds from the all-volunteer event support breast cancer and prostate cancer research at the Medical College of Wisconsin. Now in its 21st year, the showhouse has raised more than $6.4 million through the years. “Best of all, that money has served as seed money for almost $69 million in additional research grants at the Medical College,” says Linda Short, who handles public relations duties for the event. She also serves as volunteer coordinator for the showhouse, making sure all of the slots and shifts are filled for the 16-day run. All together, some 1,000 volunteers are needed. The Breast Cancer Showhouse originated with founder Nance Kinney, who is a breast cancer survivor, as is Short. Kinney wanted something positive to come out of her cancer fight, and was insistent that the effort be an all-volunteer event so that more of the proceeds would go to fight cancer. “Ninety percent of the ticket sales go to research,” says Ellen Irion, chairwoman of the event. 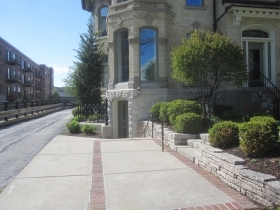 Showhouses have been located all around the metropolitan area, from Mequon to Oconomowoc to Wauwatosa to the heart of Milwaukee. Each one is different, and special in its own way. Irion says that after the designers rank their three preferred spaces to work on, the design committee gets to work, matching the rooms to the designers and vice versa. 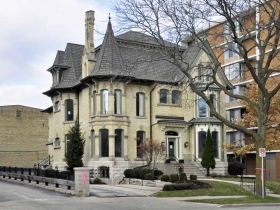 This year’s is a Victorian designed in 1876 by architect James Douglas. 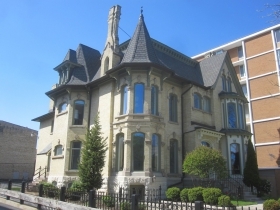 With its Cream City brick, turret, spires and arches, it stands apart on Prospect Avenue just north of downtown Milwaukee. 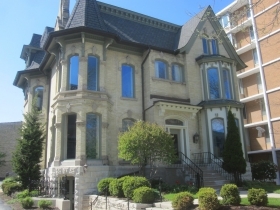 Inside its wainscoting and intricately detailed woodwork are original. 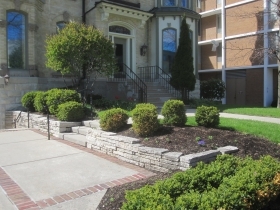 Its 9,000-plus square feet includes eight bedrooms and five fireplaces in three stories. The designers are making sure each room will be brimming with decorating ideas and distinctive touches. Many tourgoers make a visit to the showhouse an annual event, getting their friends together and making a day of it. “But it’s really about more than the house itself,” Short says. Interested in learning more about this home? Be on the lookout for an upcoming House Confidential.